entire litter at one time. This also means that SUNSTAG (Reg.) must name each puppy for registration. processed and it will be used on the documents reserved for their puppy. 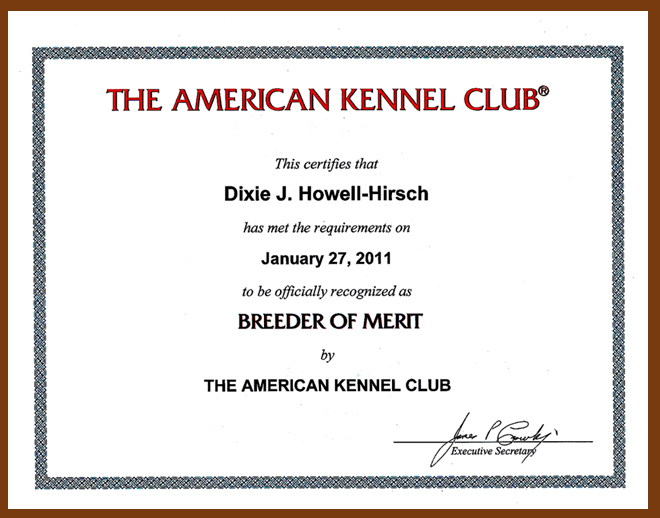 This award was presented in January 2011 for meritorious service as Breeder of Irish Wolfhounds, Borzoi, Pharaoh Hounds and Basenjis. What's in an Irish Wolfhound?